EdTheory Referral Program | EdTheory, LLC. 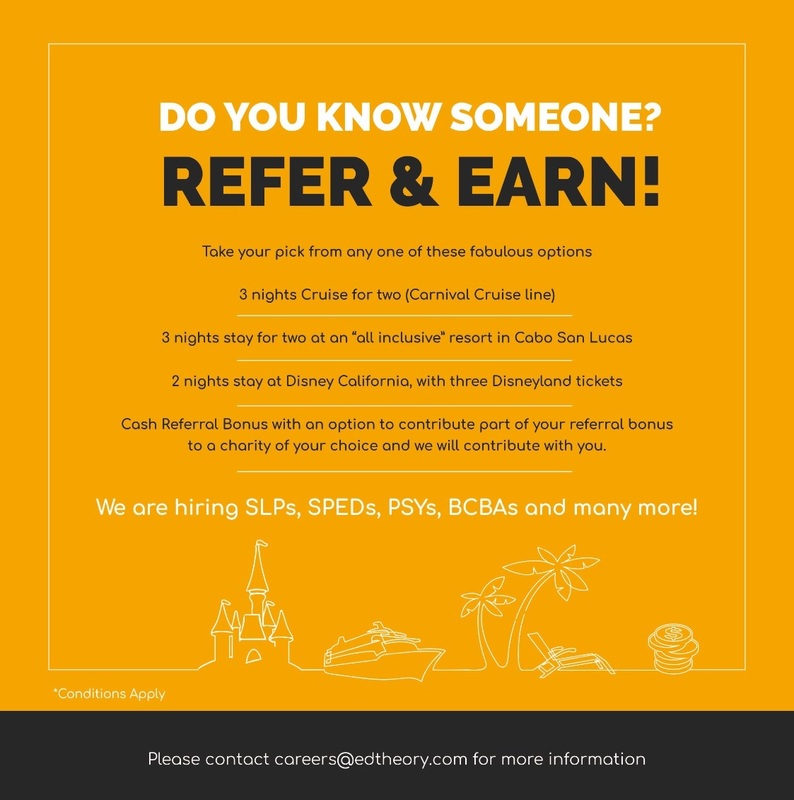 You can receive a referral bonus from EdTheory, LLC for helping us hire qualified professionals. 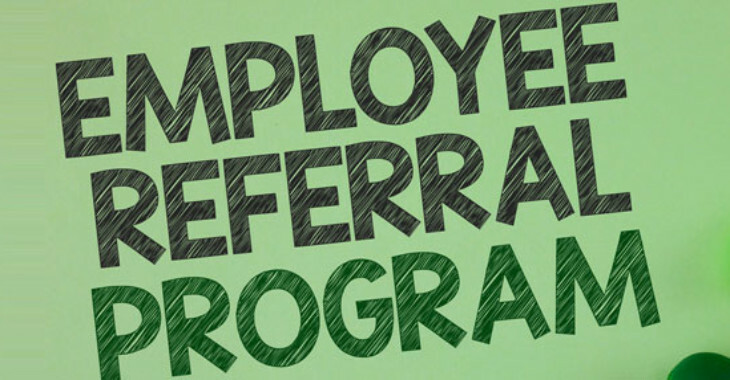 To receive the referral bonus, the following criteria must be met. Candidate referrals must be submitted directly via a call or an e-mail to careers@edtheory.com. Candidate referrals need to include the following information. A valid telephone number or an active e-mail address. The specialty/job title of the person being referred. The referrer’s full name and contact information. The referred candidate cannot be a current or former employee of EdTheory, LLC. Candidates that are already in the EdTheory database, but have not been in contact with, or been contacted by us within a 6-month period prior to the referral are eligible for our referral program. Referred candidates must be placed in an assignment by EdTheory within three months of the date of referral to qualify for the program. Bonuses for eligible candidates placed in a full-time/direct-hire capacity will be paid after the guarantee period has expired and invoices have been paid. Bonuses for candidates placed on a contract basis will be paid after the candidate has worked a total of 30 days with the company. Referrer must agree not to recruit referred candidate while they are on any assignment with EdTheory, LLC. In-case of any dispute, the decision of EdTheory is final. To learn more or refer a candidate today, please contact careers@edtheory.com or a submit a referral below!